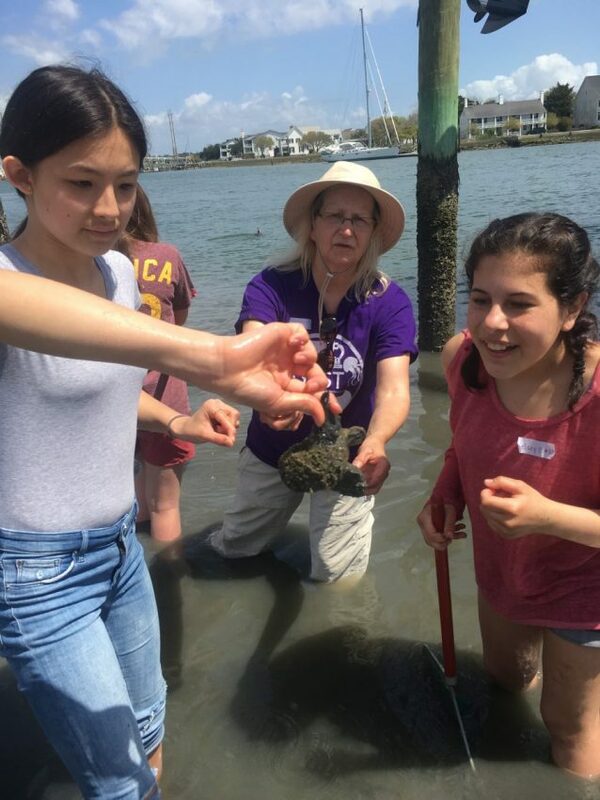 Staff in the North Carolina Coastal Federation participated in two events recently that were focused on getting girls interested in math, science and technology. The first event, Girls Exploring Science and Technology (GEST), was on April 14 at the Duke University Marine Lab. GEST brings together researchers from a number of STEM institutions to inspire middle school girls to become the next generation of scientists and engineers. Rachel Bisesi, coastal education coordinator, led the federation’s program with assistance from Kristina Bell, intern, and Donna Snead, federation board member. More than 160 middle school girls, most of whom were from coastal schools, attended the event. For the federation’s education activity, 50 students did a shoreline cleanup at the Duke Marine Lab living shoreline. Additionally, the group ventured over to the living shoreline at the National Ocean and Atmospheric Administration’s Beaufort Lab. The group used nets to explore the living shoreline and learn about what critters call this estuarine habitat home. 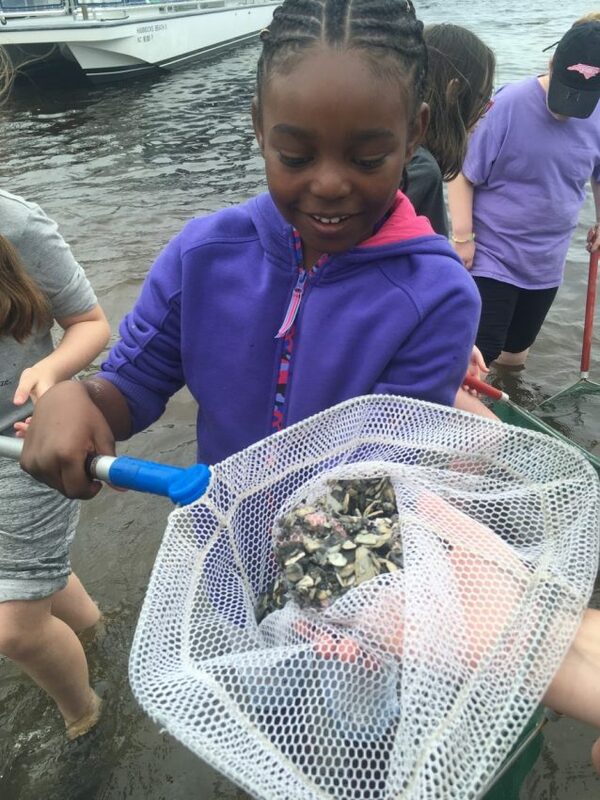 On April 23, Bisesi led an education event for girls from Archdale Elementary School along with Snead; Dr. Lexia Weaver, coastal scientist; and Kristin Gibson, AmeriCorps member. The GEMS club, which stands for Girls Excelling in Math and Science (GEMS), is an afterschool club that allows fourth- and fifth-grade girls the opportunity to explore science and math using hands-on activities. The group makes a trip to the coast every other year. For their program with the federation, the 25 students went to the Hammocks Beach State Park mainland for a salt marsh planting. The students used dibblers to plant the marsh grass, which are tools that create a space in the sand for the plant and secure it in. Weaver led the plantings, while Bisesi led an estuary activity. This event was held in partnership with the park. Renee Evans, park ranger, did a sea turtle program and led a hike on the mainland. Lisa Garrison, Curriculum Support Instructor at Archdale Elementary who serves as GEMS program leader, said the group enjoyed planting marsh grass and she was grateful to be able to show them the work that GEMS groups did in previous years. Bisesi enjoyed working with these groups and getting girls interested in the coastal environment.